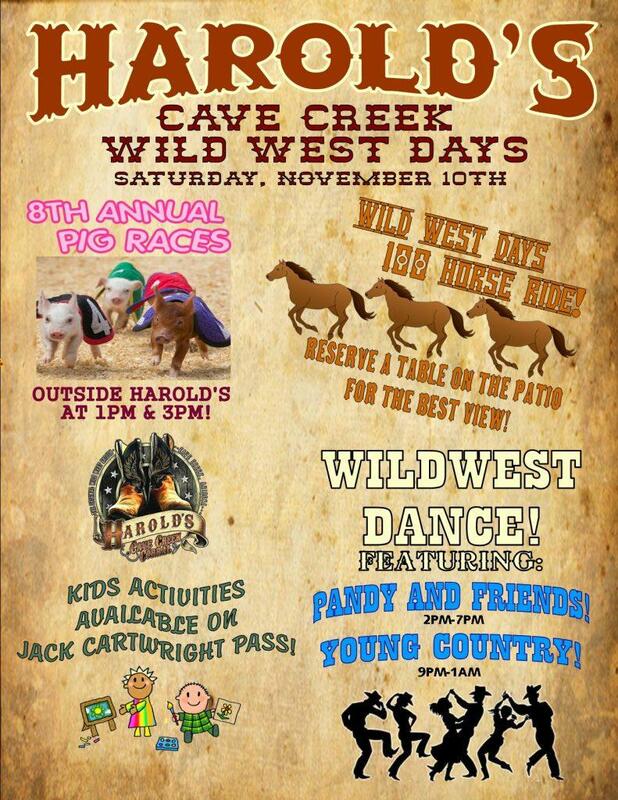 Join us on Saturday, November 10th for Wild West Days in Cave Creek! Watch the 100 horse ride through town at 10am! Ending at Harold’s around 10:30am! Get the best view by reserving a table on our patio! 480-488-1906! 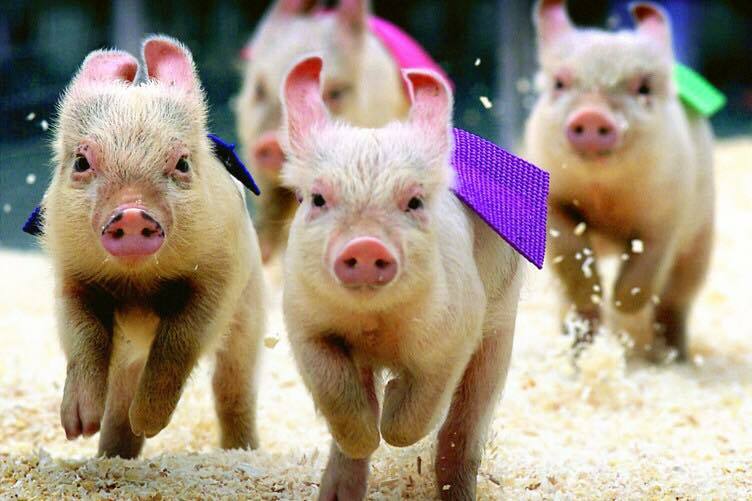 8TH ANNUAL PIG RACES! Races at 1pm & 3pm! Come bet on some piggies! Wild West Dance featuring Pandy & Friends and Young Country! Kids activities on Jack Cartwright Pass! FUN FOR THE WHOLE FAMILY! We’ll See You There!